They may not be growing in your garden or found in the local produce aisle, but these uncommon fruits and veggies are well worth seeking out. This uncommon veggie is a member of the squash family, looks like a bumpy cucumber and shares its name with a favorite summer fruit. 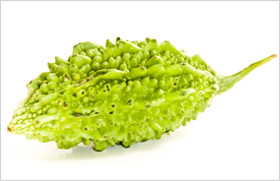 The bitter melon is yellow-green when picked and then ripens to a yellowish orange. Also known as foo qua, balsam pear and bitter gourd, this veggie is ideal for Asian and Indian cooking — even the fibrous seeds are edible! This tuber is most recognized in Chinese dishes, but it’s growing in popularity among other cultures, too. 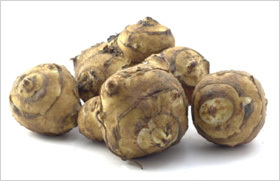 Also known as the Chinese water caltrop, this veggie hails from the ponds, marshes and lakes of Southeast Asia. 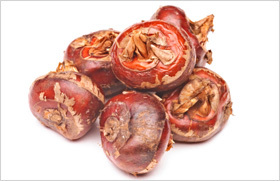 Canned versions are easy to find, but fresh water chestnuts are a bit more elusive. Look for firm chestnuts with no signs of wrinkling, and peel them before eating and cooking. 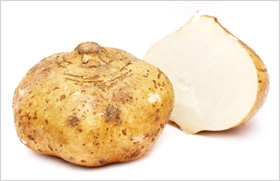 This white, starchy, tropical veggie can be boiled or steamed. As flour, this tuber is a great additive to cakes and pastries. Boost your vitamin C and fiber intake by substituting yucca, which can be found fresh year-round, for potatoes in soups and stews. 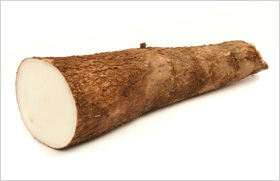 Another relative of the potato, jicama is popular outside the United States, particularly in Latin and Central America. It’s sometimes called the Mexican potato or the Chinese turnip. No-fat jicama is low in sodium and high in vitamin C. Eaten raw, its flavor resembles that of a pear or apple, making it an ideal addition to your raw veggie platter. You can also add it to stir fry for added flavor and texture. The pluot (above) is a complex hybrid fruit that is mostly plum and some apricot. Originally invented in the late 20th century, pluots are grown in Washington and California. 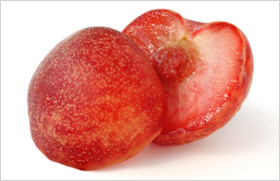 This hybrid has the smooth skin of a plum and is known for its fabulous sweetness. The sugar content is much higher than that of a plum alone. The pluot should not be confused with the aprium, which is a hybrid fruit of mostly apricot and some plum. It boasts a slightly fuzzy skin, like an apricot. And it, too, has a higher sugar content than the regular apricot, giving the aprium a terrific sweetness. Pluots and apriums are in season from May through September and are plump and firm at their peak ripeness. To use, wash and dry well, cut in half to remove the pit, and eat fresh or cooked. Although it’s often referred to as the Jerusalem artichoke, this tuber is native to America and related to sunflowers, not artichokes. When consumed raw, the white flesh of the sunchoke is sweet, nutty and crunchy. When baked, the flavor resembles that of potatoes. It’s a scrumptious addition to salad, soup, salsa and marinade. It’s available year-round but at its peak from late summer to early spring.